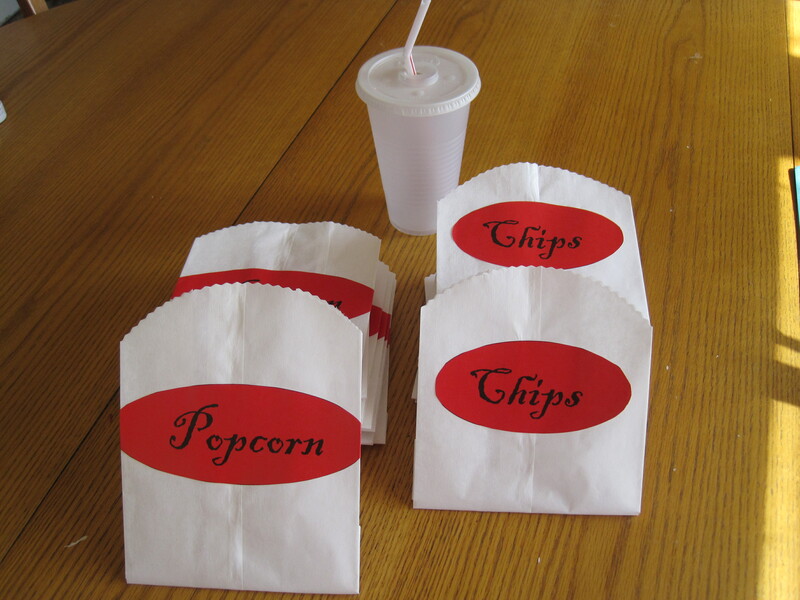 I have completed the chip and popcorn bags for the Movie Night Party, I am using Red and Black as the primary colors accented with bright yellow. To make these bags I simple cut white lunch bags down to the size I wanted then I pinked and shaped the edges folding the bottom up in the back and applying a label crested in Microsoft Word using the Oval shape. I am very happy with how these turned out. I have had a trying time making the decorations because I caught a cold and having difficulty staying focused.